If you have never been a victim from Internet trolls this post probably isn’t for you, however if you are thinking about standing up for something or building a business online using social media and video sites these trolls will be out in full force at times. When you get your first bashing by an internet troll your first instincts may be to insult them back, keep the posture and if it was not too bad of a bashing respond to them intelligently without it appearing as if they phased you in the least. If the bashing was very disrespectful and perhaps profane pretty much every social media site has ban user or block functions and you can be sure that particular internet troll will be gone. Depending on what you are doing you may love the attention and have fun with these internet trolls but most will find them interrupting their peace. Internet trolls come in all ages as I monitor my Daughter’s YouTube account and see many little girls getting their start at internet troll stardom, it is pretty sad what some of these children say. Some people are holding in immense baggage and they feel like taking it out on someone and if you are putting yourself out there they will project it on you if the topic is right. Keep your posture always and never react but prepare to respond and if you don’t have a response keep your blocking and banning finger strong. Life is too short to deal with these internet trolls, keep giving value to the great people who are following you and display how professional you are by keeping your composure when the trolls appear. If you would like to work with me personally click here. 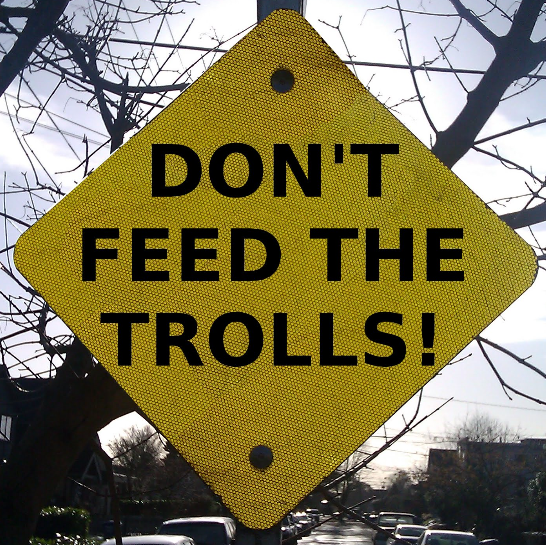 Thanks for stopping by and checking out my post on How to Deal With Internet Trolls.